The National Flood Insurance Program is already $18 billion in debt and may need more from Congress to pay flood claims caused by Sandy. The Federal Emergency Management Agency, also known as FEMA, has said it has enough funds for disaster aid from Superstorm Sandy. But the key question is does it have enough for flood damage? 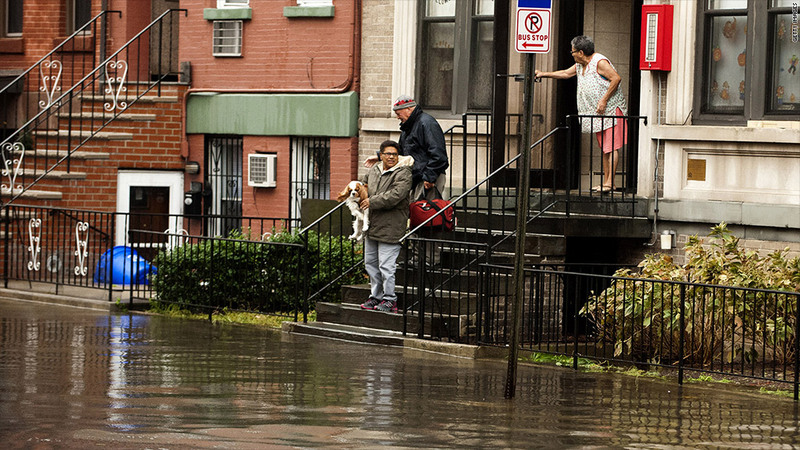 Sandy has flooded thousands of homes in its devastating path, and estimates are that damages will be in the billions of dollars. FEMA, which runs the federal flood insurance program, has to pick up the tab. But FEMA already owes $18 billion to the Treasury Department, thanks to Hurricane Katrina. Currently, insurance experts say FEMA's flood insurance program has access to funds totaling $3.8 billion, much of it in loans. If flood claims exhaust the fund, Congress may have to step in with additional taxpayer money. That will add to the already bloated national deficit, and anger fiscally-conservative members of Congress. Private insurers don't cover flooding. 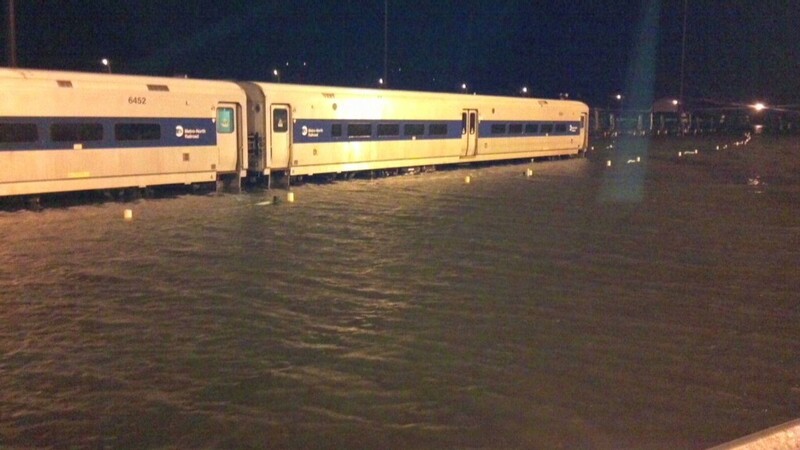 Sandy's storm surge pushed water from the Atlantic Ocean into basements and first floors in coastal Virginia, New Jersey, Connecticut and New York, where subway tunnels remain flooded. By Wednesday, FEMA was still concentrating its efforts on coordinating search and rescues and aid to those without power. It hasn't released an estimate on flood damages, but experts are raising serious doubts on whether FEMA's funds will be enough to cover the costs for its National Flood Insurance Program. In 2011, the federal flood insurance program paid out $1.8 billion in claims, after Hurricane Irene flooded parts of the Northeast. Sandy's devastation is expected to be worse. "The key issue will be how many people actually purchased the product, and what kind of demand that's going to put on the program's cash and borrowing authority," said Donald L. Griffin, vice president of personal lines for Property Casualty Insurers Association of America, an insurance trade group. The costs could be kept in check if fewer people bought federal flood insurance. In general, residents in Northeastern states buy fewer flood insurance policies than hurricane-prone states like Florida and Texas. But last year's Hurricane Irene scared Northeasterners to buying flood insurance. A market survey by the Insurance Information Institute reported that some 14% of homeowners living in the Northeast said they bought flood insurance in 2012, up from 5% in 2011. Compared to that, 21% of Southern homeowners said they bought a flood insurance policy in 2012. Nationwide, homeowners have taken out more than 5.6 million flood insurance policies covering $1.2 trillion in property, according to the Congressional Research Service. Premiums collected in 2011 were $3.35 billion. The program was self sufficient until 2004, and able to cover claims from the pool of premiums collected over the years. That ended with Hurricane Katrina. Even though less than half of homeowners flooded by Katrina had insurance policies, the program still paid out claims totaling $17.7 billion in 2005, according to the Congressional Research Service. To bridge the gap, Congress gave the flood insurance program a line of credit from the U.S. Treasury. The debt limit on that line today stands at $20.8 billion. The National Flood Insurance Program tapped the credit line to pay out Irene claims last year. Now it has $2.9 billion it can borrow and $900 million in cash. Lawmakers passed a law in July allowing the flood insurance program to raise rates on its policies. The new rates are only just starting to take effect. FEMA didn't immediately respond to questions about the solvency of its flood insurance program. In a conference call with reporters on Monday, FEMA Director Craig Fugate said the agency is still in disaster response mode and hasn't begun to look at flood insurance claims. He said he doesn't know yet whether the agency will need a bigger loan.